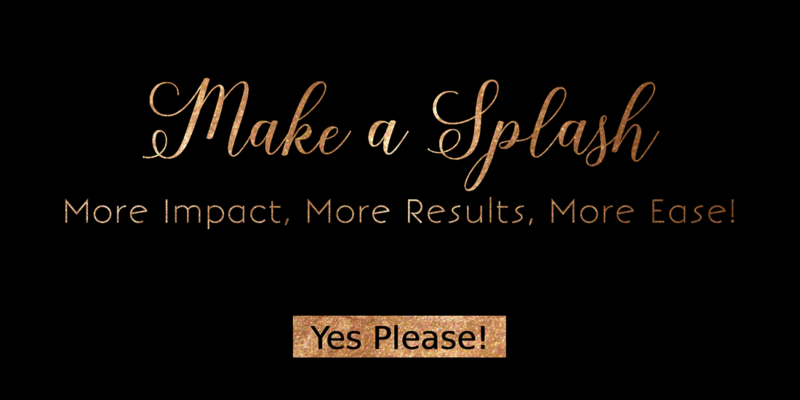 Ready for more impact & more results with more ease? ​Then, make sure you join us for the Make a Splash Summer Bash! Each week I will be releasing an energetic conversation with one of my soul sisters & favorite energy experts to help you activate, shift, and align your energy so you can start getting the results in your biz, relationships, & life that you deeply desire! I started my business in 2012 and sent years learning systems, structures, and "how to create success as an online entrepreneur". Some of the things I learned worked. And others left me feeling more confused and disconnected from myself, my truth, and my power than ever before. I've been learning how to untangle and deconstruct the limiting systems and structures (yes even business systems & structures) that I have put into place for myself. And the deeper I dive into this... the more my business thrives. The more results my clients are receiving and the more money I am bringing in --- ALL with more ease! ​I want that for you too! Which is exactly why I am hosting this series. My intention is for these energetic conversations, is for them to be a gateway, transmission, and activation to help you shift, align, heal, and awaken the energy and magic IN YOU so you too can start getting more results with more ease. 1. Starting June 18th, each week I will release a energetic conversation. 2. You will get access to a private Facebook Community which we will use as a sacred space to share what is moving forward (ah-ha's, experiences, awareness, etc) between conversations.